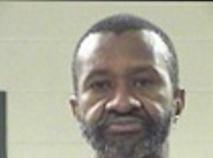 Robert Lee Lewis, 51, of Livingston, was arrested and charged with multiple traffic charges. Accident Hospitalizes 2, LIVINGSTON, March 11, 2014 - Shortly after 7 pm on March 11, 2014, a white 1998 Dodge pickup driven by Robert Lee Lewis, 51, of Livingston, was west-bound on US-190 West (next to Raceway). Lewis attempted a left turn into the parking lot of Raceway but failed to yield to an oncoming east-bound silver 2008 Chevy Cobalt driven by Madeline Catherman, 73, of Livingston. The vehicles collided. Catherman's vehicle came to rest partially in the parking lot of Raceway and partially on the road while Lewis pulled into the Raceway parking lot. Americare Ambulance Service was dispatched to the scene along with the Officers Jason Thomas and Adam Williford (both with Livingston Police Department). Additionally, some Scenic Loop Firemen happened to be in the area and assisted EMS personnel. Madeline Catherman and her passenger, Hilde Larrimore were both transported by ambulance to Livingston Memorial Hospital with undisclosed injuries. Robert Lewis was arrested and charged with no driver's license, no insurance, and failure to yield right-of-way. Lewis is possibly facing additional charges. A rollback wrecker from Ken's Towing recovered both vehicles and they will be stored at Harrison Body Shop in Livingston. Madeline Catherman and her passenger sit in their 2008 Chevy Cobalt as emergency personnel prepare to transport both occupants to Livinston Memorial Hospital. Robertr Lewis' 1998 Dodge pickup sits in the parking lot of Raceway. Catherman was loaded onto an ambulance. Passenger Hilde Larrimore was also loaded onto an ambulance. Both Catherman and Larrimore were transported to Livingston Memorial Hospital.